This week's cards will be available Monday, March 4th - Saturday, March 9th. SUPPLIES Cardstock: Paper Cut (White, Deep Blue, Fossil). Patterned Paper: BoBunny (Family Is Collection). Stamps: American Crafts (Amy Tangerine-Draft). Inks: Memento (Rich Cocoa), Adirondack (Denim), Liquid Pearls (Ruby Red). SUPPLIES Cardstock: Paper Cut (Deep Blue, Cream, Vellum), Bazzill. 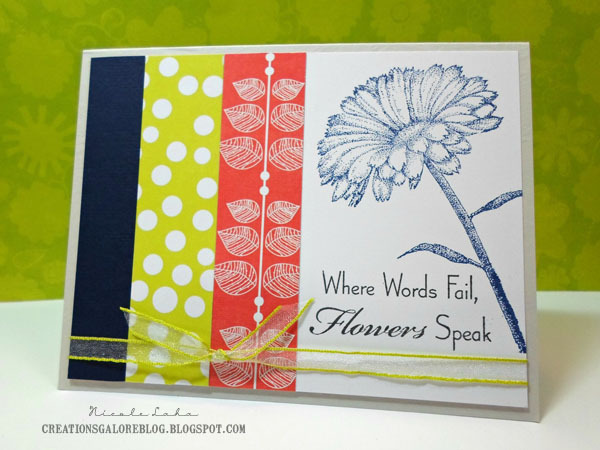 Stamps: Tim Holtz (Reflections), Penny Black. Inks: Adirondack (Denim), Distress Ink (Antique Linen, Forest Moss), VersaMark Watermark. Embossing Powder: Ranger (Gold). 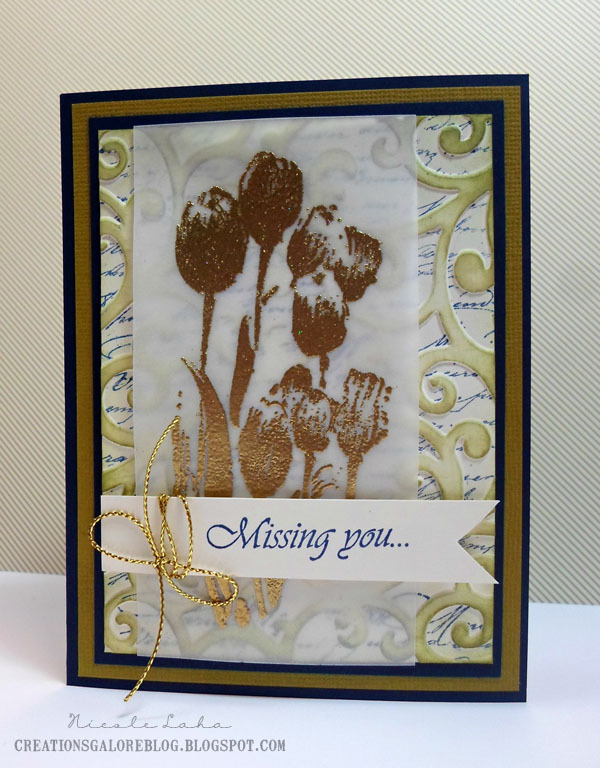 Embossing Folder: Sizzix (Flourish Set). 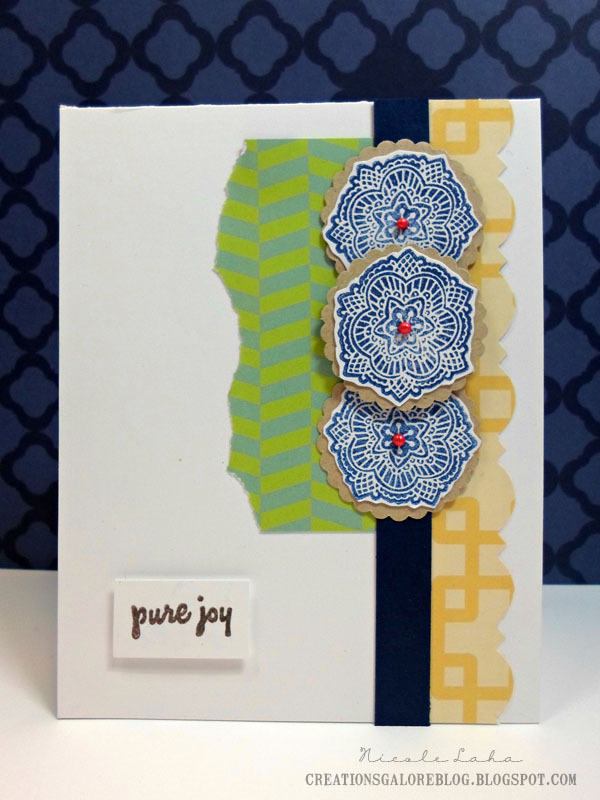 SUPPLIES Cardstock: Paper Cut (White, Deep Blue, Antique Grey). Patterned Paper: BoBunny (Alora Collection). Stamps: My Favorite Things. Inks: Memento (Tuxedo Black), Adirondack (Denim).